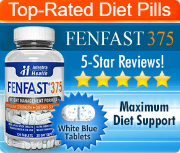 Clenburexin Diet Pill Review: Is This a Safe and Effective Product? 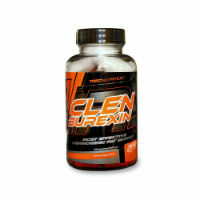 Clenburexin is a non-prescription fat burner designed to help people who are overweight lose weight at a faster rate than would be possible with only diet and exercise. 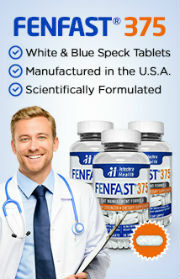 Supposedly, those who take this weight loss supplement reduce the amount of time it takes to shed fat while on a diet. The manufacture claims that it is “the most effective thermogenic fat burner.” This implies that the pills produce a thermogenic effect in the body, which essentially increases body heat to burn more fat. The ingredients that make up the Clenburexin formula include the following: green tea, green coffee, L-tyrosine, yerba mate, caffeine, panthotenic acid, ginger root, cayenne pepper, and bioperine. There is nothing particularly special or revolutionary about this formula, as each one of these ingredients can be found in many OTC fat burners on the markets. However, what does stand out about this particular fat burner is that it contains multiple stimulants, as well as substances that contain stimulants. Although these ingredients can boost energy and provide a temporary increase in fat burning, they may also cause adverse effects along with these potential benefits. Some side effects may include jitters, anxiety, insomnia, rapid heartbeat, mood changes, digestive upset, etc. The risk of adverse effects is higher for individuals who have sensitivities to stimulants, such as those that can be found within Clenburexin, like caffeine, yerba mate, green coffee, and green tea. For this reason, it is best to approach this diet supplement with caution and consult your healthcare provider before taking it to be on the safe side. On the whole, Clenburexin does not make a good first impression and neither does its website, which looks more like a blog that is designed for the sole purpose of selling the product and not designed to provide potential users with valuable or important information about it. Furthermore, while it was possible to find the product ingredients online, not even this most basic information was provided on the official site for these pills. Therefore, while it may be possible that this fat burner does work or may at least provide some benefit for weight loss when used in combination with a sensible diet and exercise, there is no actual evidence that backs up the claims that state it helps to burn fat. Hence, if Clenburexin does interest you, take further steps and thoroughly research its ingredients to make sure that this product is safe and the right choice for you. However, if you are not interested in taking this next step, it may be best to avoid this product altogether.